Yesterday we heard that BlackBerry had opted to end its sales agreement with T-Mobile. It seemed the obvious end to what had become a tense relationship over the past few weeks. It means that from the end of this month, T-Mobile will no longer be selling BlackBerry products. Or, more specifically, it won’t be receiving any new stock of BlackBerry devices. An internal memo was sent out to employees following the announcement, for staff to reassure BlackBerry users that Magenta will continue to support them with any queries. 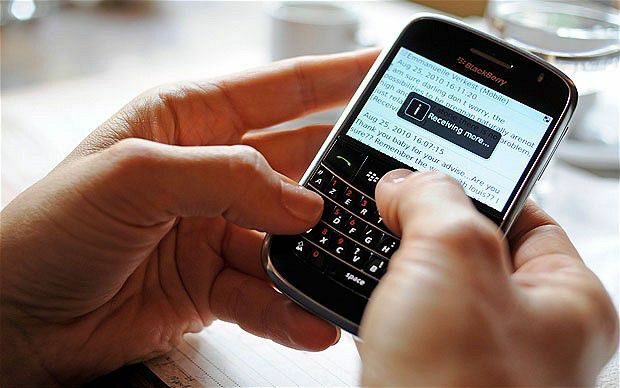 There will be no change in service for any of the current BlackBerry Tmo users. It just means Tmo will not sell any more new devices. The email also stated that staff can continue to sell any remaining stock. Staff are instructed to assure existing customers that there won’t be any change in service, and to encourage users to upgrade to the latest software available. They’re also encouraged to continue offering any available inventory, whether that’s in store or via a “Ship-To (Direct Fulfillment)”. BlackBerry – on the other hand – wants to reassure T-Mobile customers that it still loves them by allegedly sending out emails offering them $100 off a new, unlocked BlackBerry device. ← BlackBerry offering T-Mobile subscribers with $100 off device purchases at ShopBlackBerry? How about pledging support for windows phone!?!?! I’ve had it with seeing the competition keep getting the awesome high-end new windows phones while we get the low-midrange devices devices while never really getting the newest and greatest flagships! WTF JOHN LEGERE! Cause nobody cares about Windows Phone. From it’s ugly UI to maddening lack of features to few apps it’s destined to be the junk it is. Stupidity? Please. Perhaps you should stop kissing Microsoft’s backside and come up for air. Took Microsoft, what 3 years to catch up to iOS and Android? And don’t forget, Google has I/O coming up soon and Apple has WWDC soon as well. Both of which announce the next version of the OS. Cortanna is nice but I’m sure Apple and Google will best that in short order. It was interesting MS pandering to the geek crowd with the Halo reference but the every day user has no idea about the back story in Cortanna nor do they care. Apps – I’m talking first rate mainstream apps. Many of which, if they exist on Windows Phone are poor ports. And lacking features. Similar to the app situation on Blackberry. Why make an effort for a 3rd rate mobile OS when you can get the vast majority of users with iOS and Android. And the UI of windows Phone is Horrible. That may be opinion but that is an opinion shared with the majority of the smartphone and tablet buying public. It’s garbage. Live tiles are a distraction and waste space. They are fine for very static things like voicemails and e-mails but anywhere else they fall flat on their face. Why? To access content you still need to open the app so I may as well just open the app. It’s the same problem facing Win 8 on the desktop. People don’t want the live tile garbage. They see it as inefficient and distracting. MS should just give up already. Making WP free won’t help as companies are still doing directly against Microsoft (via Nokia). Stick a fork in it, it’s done. What did I post that is a lie? Most of the apps that I see on MS are actually built for the eco system..if not by the actual company, then by first rate developers who often times make better apps for WP than the companies themselves. There are no more “Ports” for WP than their are for Android or IOS so not really sure what you are meaning here. And your assesment of the UI is just ludicrous (spelling) WP is growing not shrinking so that means people are buying the brand…and are happy with the UI. I can understand if you dont like it…its not everyone’s taste but dont lie and try to take the whole phone buying public with you…. No one really takes your comments seriously anyway…and it really makes you look bad because you are saying things out of hate and frustration not fact…. There’s a legit market for Windows phone. Everything you said is based solely on opinion and limited understanding of technology. About the only reasonable and factual comment you made is that the app market for Windows phone is limited in comparison to iOS and Android. That’s true. Everything else is subjective nonsense. I’m puzzled though by the OP. The 925 is a high end windows phone. May not be the one he wants, but rarely in life do we all get exactly what we want. Dude needs to settle down. Raging over a phone can hardly be good for your health. The new windows phone Nokia announced aren’t rare diamonds, they can be bought elsewhere. If you really want that phone buy it elsewhere, or at least wait for some official announcement that T-Mobile will not be getting certain models before getting constipated. Geez these phones just came out. Uh, OK, whatever. I’ll take my “limited understanding of technology” and continue on making a living with it. And when the majority of a market shuns your devices and OS, it’s called a failure. No matter how much you want it to succeed. Cool story. Selling batteries at Radio Shack hardly makes you an authority on technology, let alone mobile operating systems. No disrespect meant to you guys working in consumer retail. And I like Radio Shack too. That said, can you recommend a decent brand of rechargeable AA batteries? I agree the 925 is a beautiful device, although its memory is somewhat lacking. However ATT and Verizon will continue to take tmobile customers if tmobile doesnt get a true hero device for every major platform iOS, Android AND WP. I understand that with the uncarrier moves tmobile wants to address the lower end of the market, which is why they have the incredibly priced lumia 521 and will soon be getting the similar but upgraded lumia 635. As for waiting for an official announcement, no company in their right mind would announce what devices they WONT be carrying. I have to agree with this. We’re now over 3 years since Elop the destroyer pledged Nokias complete and utter surrender to all that is Microsoft and they still can’t come close to matching the features of my two and a half year old N9. Hell, they can’t and probably never will match the features of 10 year old Symbian devices. All these MS fanboys always say the same things. It’s usually “wait until the next version!” They said it with WP7 WP7.5 and now they say it with WP8 and WP8.1. Give it a rest already guys. If this abomination of a smartphone OS were run by any other company than MS, it would have been shoved into it’s grave ages ago. It’s a failure and no matter how many billions Microsoft continues to throw at it, Windows Phone is destined to remain a failure. Logic defies why anyone would argue otherwise. Paid shills maybe? As the proud owner of a L925 and a former Android/iOS user I will choose to ignore your böring comment while still responding to it. I care about Windows Phone and am excited about the changes Windows Phone 8.1 will bring. It’s not the perfect phone, and I still prefer Android. However, Windows Phone brings something different to the table and not just for the sake of being different. Competition in the mobile OS space is good. As much as I like Android, I don’t want to see a marketplace with only iOS and Android. I agree with the sentiment. I started on Blackberry reluctantly switched to iOS, pretty okay with it too. iOS is pretty solid, but I seriously question the premium price required to use it. Definitely exploring the option of switching to Windows 8, particularly Nokia phones. Androids are buggy from my experience, although it’s come far in 2 years time. In that same time iOS with every update is definitely losing that solid stability I came to value. So I’m totally okay with 3-4 mobile OSs in the market, however to be honest, I haven’t used any version of BB OS since abandoning wholesale that platform. So I’m not sure if Blackberry has a meaningful place in the consumer market space. My windows phone sits proudly alongside my iPhone and my G Flex as the devices I demo to customers every day. Its a platform with its own strengths, and 8.1 is definitely looking to cure its weaknesses. You never know, moving Blackberry out could make room in their lineup for just that. At least Windows Phone is growing, whereas BB is dropping like a rock. I still hope this is a bad April fool’s joke. If t-mobile were to offer wi-fi calling in other model not bought through t-mobile I would be fine with this. That being said windows mobile is finally bringing decent enterprise functions in 8.1. In enterprise functionality win phone 7/8 really dropped the ball. If worse came true it would probably be my fall back. Wow! Well, getting back to the subject of the BlackBerry. :-) I’m glad that T-Mobile and the owners of BlackBerry are making definite statements of continued support for existing BlackBerry owners on T-Mobile. This is really in keeping with the whole Non-Carrier thing anyway, right? My CrackBerry friends will certainly be happy with this. Too bad blackberry can’t just rollover and die it’s just a titanic at this point…. Too little too late. So dumb of them to end their partnership with a fast growing ship like tmobile, good riddance.